Alappuzha — the gateway of Kerala Backwaters with amazing maze of backwaters, lagoons, rivers, canals. Known as Venice of East. Kumarakom— the celebrated backwater retreat of India famous for its vast lagoons, bird sanctuaries and holiday houses. Experience the mystery and magic of South India Tours with its fascinating history, rich culture and traditions. As you go down to peninsular India, the fascinating land of temples unravels itself for you. The major destinations of south India include Tamil Nadu, Kerala, Andhra Pradesh, Karnataka, Lakshadweep, and Andaman& Nicobar Islands. Whether you are an adventure lover, pilgrim, or a wildlife enthusiast, south India has it all to enthrall you. The exquisite temples are the strongest lures and a wealth of south India. The historic monuments and temples can be found in large numbers in the states of south India. The intricately carved temples are feasts to the eyes and some of them you must visit include Guruvayoor Temple, Kalpathy Temple, Meenakshi Temple, Murugan Temple, Badami Cave Temple, Tirupati Tirumala Balaji and Saneeshwara Temple. These marvelous structures also stand testimony to the ancient heritage of the empires that greatly patronized the artistic pursuits. A Travel to South India will remain incomplete without a visit to the palm fringed sandy beaches that accentuate the scenic charm of south India. The long coastline has conferred the south Indian states with numerous enchanting beaches and the most well-known among them being Alappuzha Beach, Kovalam Beach, Marina Beach, Kanyakumari Beach and Maravanthe Beach. Apart from the beaches, south India is also well known for its captivating wildlife which attracts hordes of wildlife enthusiasts from all over the world. Watch the wild denizens roaming in their natural habitat freely along with a large number of migratory birds that frequent the protected forests of South India. Some of the acclaimed wildlife sanctuaries and national parks of south India are Periyar Wildlife Sanctuary, Kumarakom Bird Sanctuary, Calimere Wildlife Sanctuary and Bandipur National Park. The fairs and festivals of south India mirror the rich culture and tradition of the people of the region. Passed on from generations, these still are celebrated with utmost zest and excitement. You will find the people clad in their traditional attire and piously following the spectacular rituals. The festivities are marked by important occasions such as harvest, arrival of the monsoons and paying reverence to the worshipped deities. The famous ones are Onam, Aaranmula Boat Race, Pongal Festival and Natyanjali Dance Festival. A gratifying holiday is greatly dependent upon the accommodations and in south India, you will find a wide range of hotels and resorts to chose from. The various hotels located in important towns of south India and also provide resort and spa facilities. Kerala is a state that is particularly famous for its ayurvedic spa resorts. Some of the five star deluxe hotels in Chennai are Le Royal Meridien, Park Sheraton & Towers and Taj Coromandel. Likewise, you can find a number of hotels that are dotted in the other towns of south India too such as Kodaikanal, Coonoor, Kovalam, Bangalore, Hyderabad and Cochin. Beaches are the most treasured travel destinations in south India.States such as Kerala and Tamil Nadu are almost synonymous with beaches.The entire south India coastline consists of several beaches dotted with palm and coconut groves. These palm fringed sandy beaches with gentle surf, blue water, appetizing sea food and various beach activities attract thousands of beach lovers from far and wide.The beaches also host many beach activities including swimming, sun bathing and various other adventurous water sports. Beaches, south India is also privileged with various beach side hotels and resorts, which provide fantastic accommodation facilities to its visitors. Besides accommodation, these resorts are also known for ayurveda and spa facilities. The beautiful State of Kerala is fortunate to have long, silky and palm-fringed beaches, tranquil backwaters, lush green dense forests and picturesque mountains, and called as ‘God’s Own Country’. Set on the Western Ghats in the east and blessed by the blue waters of the Arabian Sea in the west, the beautiful Karnataka has a 320 kms. long coastline dotted with unspoilt beaches. Some of these beaches are famous, and some are not popular yet, and that is their biggest attraction. The beaches of Tamil Nadu, the southern most state of India have got a charm of their own. A must visit is the second longest beach in the world, Marina Beach. Do not miss the fantastic joyride along vast stretches of sand lashed by the Bay of Bengal. Once the place of relaxation and sun bathing, Elliot’s Beach is now a favourite shooting location for Tamil movies in Chennai. Your beach vacation is South India wob’t be complete without visiting the nbeaches of Tamil Nadu, India’s last coastal destination for rides on motorized boat or wind surfing. ‘Life is a fun’, if you believe on this phrase, then Goa Beaches are the perfect destination for you to enjoy exciting vacations in India. 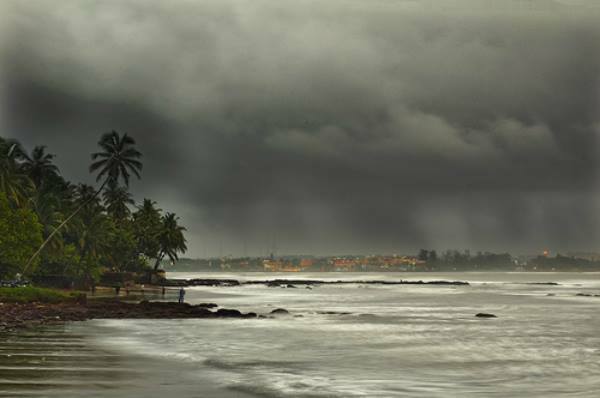 Situated on the western coast of the Indian peninsula, Goa has a coastline of 75 miles, over 50 miles of it is beach. Mumbai, the capital of Maharashtra is also called the commercial capital of India. Located on the shore of the Arabian sea, the city is home to many enchanting beaches, which are known for scintillating sunsets alongwith the sea and the sand..